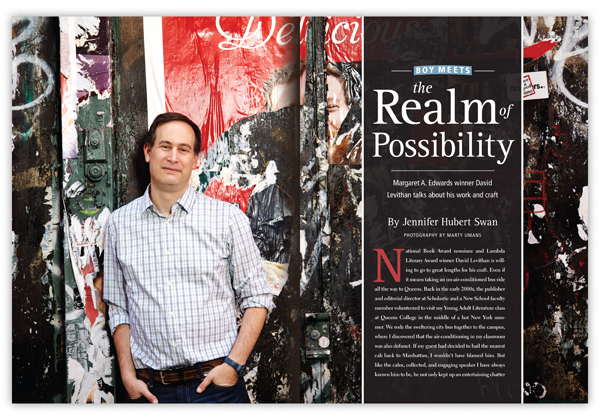 David Levithan took a few hours out of his busy day as an editor at Scholastic Books for his portrait. David is the new Margaret A. Edwards award winning author. The annual award is administered by YALSA and sponsored by School Library Journal magazine. 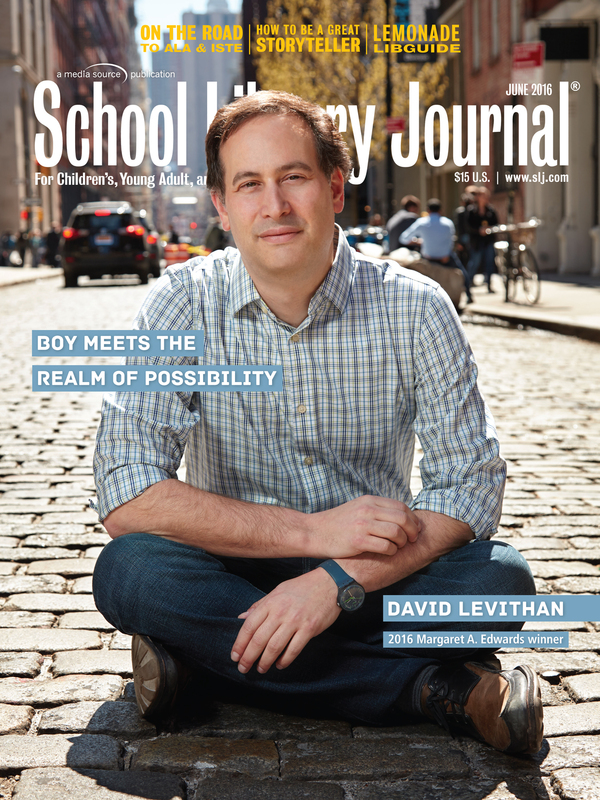 I somehow got David to sit in the middle of the street for his cover portrait. Scholastic’s building in SOHO backs onto Green Street. Between trucks, cars and taxis it is amazing how calm he was knowing he was seeing the traffic back up behind me. The Margaret A. Edwards Award, established in 1988, honors an author, as well as a specific body of his or her work, for significant and lasting contribution to young adult literature. David’s acceptance speech of the award can be read on his website. 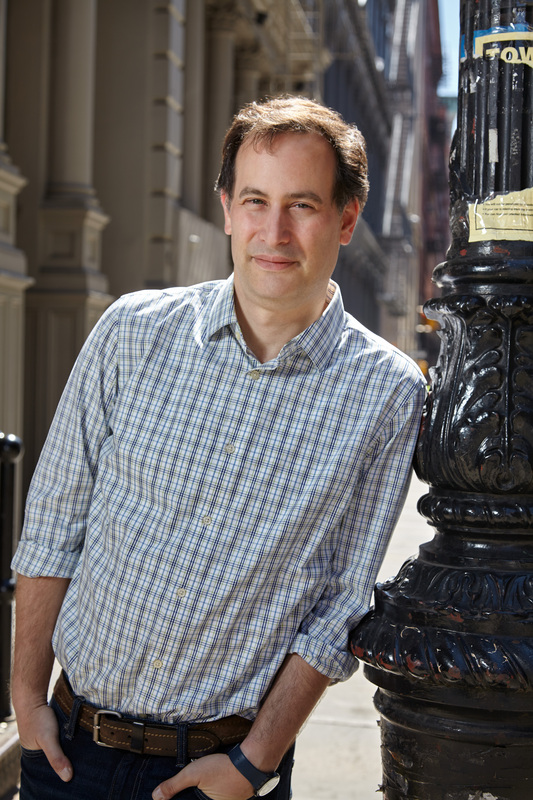 He is known for his sensitive novels about teens in the LBGT community. A prolific author of his own books and collaborated books, David has had a book published every year since his first novel in 2003, Boy Meets Boy. Congratulations David on the new award and thank you for being such a gracious subject.